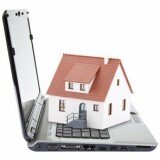 Are you looking for property management software reviews posted by actual users? Or perhaps you wish to share your own user experience? Then do it all here. Quick Intro - What is your profession and experience level? (e.g. first time landlord or senior property manager with hundreds of rental properties) Please also include the version and edition of the software you're using. Drawbacks - What are the things that annoys you about this software? (e.g. poor design, bugs, missing features, hidden costs). Are the problems a minor flaw or major deal-breaker? Value for Money - How much does the software cost? More importantly, how much does it offer compared to other software in the same price range? Recommendation - Would you recommend this property software to others? Who do you think this software is more suited for? (e.g. newcomers or professionals). If you won't recommend this software, please give your reasons as well. Comparison - If you have used more than one property management software before, then it's a good idea to compare them (based on features, ease of use and value for money).